Wow didn't even looked at that NQ TTT expected low as I was too concentrated with the TF and ES. I knew I was missing something here. Thanks gio for reminding me that. Today was a Sell day and although I though it would be not so confusing, but it held to its name and we had wide swings up and down. 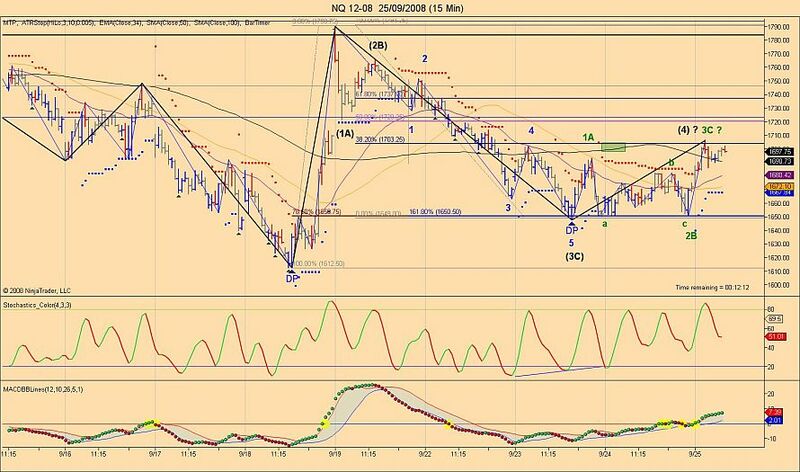 All except NQ made lower lows and TF bounced right on the projected lows. 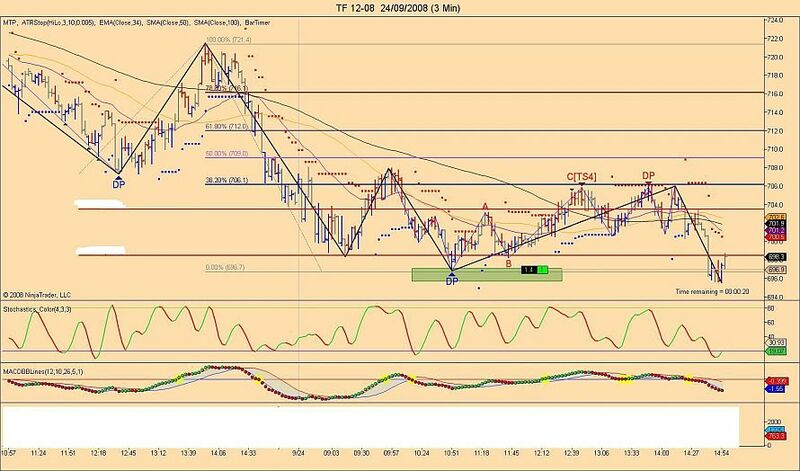 Based on the TTT book and a mix of EW and Fib clusters I was able to buy a few times the TF contract even near the end when we hit the TTT expected low at 696. I will just post 2 of my trades as I had too many today. I'am new user of TTT, and new to this board. I'd like to ask how you calculate Fib clusters that are mentioned almost in every of your posts? Also this hidden indicator at the bottom, does it have big impact to your decision making? Thanks. 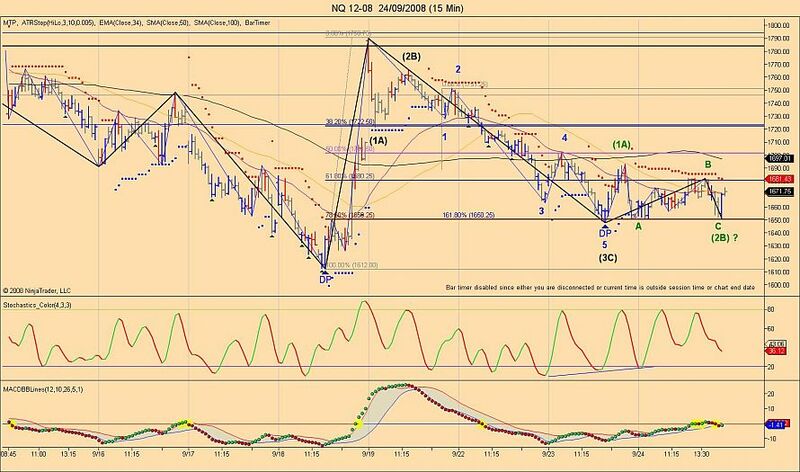 Hi ddkk, if you have read some of my posts in the market reviews section you would have seen these as the last NQ chart that I posted had one on it. For your second question well I think I have shown a lot of things that I use but I feel that I don't have to show everything as I have made a lot of research to find them. thank you,will check them. Sorry for the question about "indicator", I didn't mean to disclose it, just wanted to know how much you rely on something else. 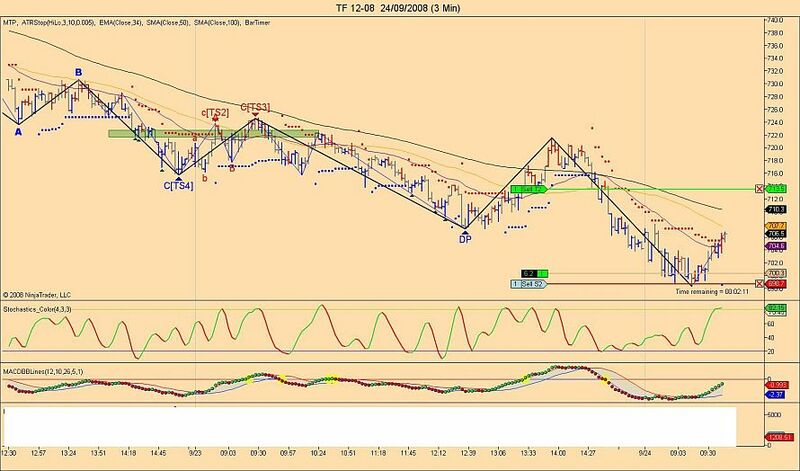 On these charts you will see some fib cluster zones, and based on the count and TTT plus divergence on the indicators, it was reasonable to expect a rally this morning. 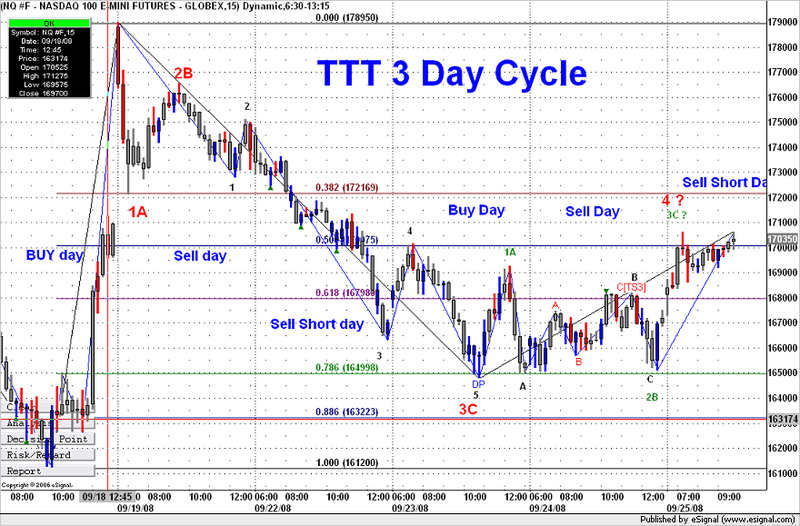 At this point NQ ES and YM all came close to the TTT projected 3 day rally numbers. TF is still lagging but as mentioned in last night report we had 90% chance of getting back above 703.60 and that has been achieved so far today.